Human beings live in a social world in which their ability to gain esteem and self definition significantly follows from their success in their personal relationships. Psychotherapy in a group setting provides a social arena in which the members can learn about their assets and deficits through interactions with peers and authority. Members also have opportunity to experiment with newly learned behaviors in the protected environment of the group in preparation for using them in the external world. Group psychotherapy began at the turn of the century when Joseph Pratt, a Boston physician, recognized the positive effects of bringing the tuberculosis patients who did not have access to sanatoria. Their recovery requires strict hygienic regimens in their impoverished homes. Using regular group meetings he educated his patients as to how to combat the diseases. Other psychiatrists were influenced by this method. Cody Marsh even included dance classes in his hospital, he said that “By the crowd they have been broken; by the crowd they shall be healed”. The role of the charismatic leader and the dynamics of group relationships were recognized by Freud later. Group therapy received a stimulus during World War II when many therapists were initially exposed to group works during their military experience. Theoreticians from England and US applied psychoanalytic or interpersonal theory to group therapy concepts. Interest in group process, stimulated by the work of Kurt Lewin. The social revolutions in the 1960s resulted in the beginning of sensitivity training experiences (T groups), and a variety of personal growth groups. The emergence of transactional analysis, gestalt theory, bioenergetics, existential models for group therapy and many additional innovative variations have enriched the group therapy fields. In Britain and America during the second world war, an appreciation of group psychology lead to a wide range of innovations, the most important are the following- the use of the group approaches for the selection and allocation of work responsibilities, studies of group morale, the integration of psychiatric knowledge in the management of large groups through the role of the command psychiatrist. Early pioneers – Jocob Moreno was the innovator of group psychodrama. He also introduced sociometry, a scientific method for the study of group affiliation and group conflicts. Slavson was an educationalist of psychoanalytic persuasion that became the central figure in the development of group therapy and group psychodrama. His organizational efforts leads to the formation of American Group Psychotherapy Association. Alexander Wolf and Emanuel Schwarts began to apply psychoanalytic ideas to the group therapy in the late 1930’s in their therapy people underwent psychoanalytic therapy under the group setting. A type of psychiatric care in which several patients meet with one or more therapists at the same time. The patients form a support group for each other as well as receiving expert care and advice. The group therapy model is particularly appropriate for psychiatric illnesses that are support-intensive, such as anxiety disorders, but is not well suited for treatment of some other psychiatric disorders. A form of psychotherapy that involves sessions guided by a therapist and attended by several clients who confront their personal problems together. The interaction among clients is considered to be an integral part of the therapeutic process. Group therapy is a form of psychosocial treatment where a small group of patients meet regularly to talk, interact, and discuss problems with each other and the group leader (therapist). The therapist is responsible to the group and to the institution in which it is set. He should have an appropriate training to perform the task. A formal qualification in psychotherapy is the ideal training. This will have included theory, personal therapy for the therapist and clinical supervision. Mental health professionals from all the disciplines make an active contribution to a rich and diverse service with the training requirement of theory and supervision. The establishment of a group begins as a management task in the definition of its goals , recruitment of its members , protection of its setting , venue etc. it evolves as a therapeutic task in which the therapist is responsible for maintaining the therapeutic attitude to the individual members and to the group as a whole. Structure, process and content: the dynamic element of the group. Structure-Structure describes the more enduring aspects of any group’s make up- the architecture of the interpersonal relationships are conceptualized in terms of setting and its boundaries and then conceptualizes in the bond between each individual , the therapist and the group as a whole. The model represents that the interpersonal dynamics are kept at fore front of member’s attention by the therapist. The inter personal approach places the therapist among the other members of the group with out giving him or her distinctive identity or any formal demarcation for the boundaries of the group as a whole. This model is developed by Bion. According to this model, in a group at any point of time, its culture and climate are governed by primitive unconscious anxieties that impede its capacity for a rational work. This is a therapist centered approach. The two –body psychology used here to enforce a series of interactions and it helps to reduce the complexity and the constraints of the group work. The element of Tavstock group. Groups may begin with relatively high level of group activity and leadership activity, referred to as dynamic administration. This approach integrates the important aspects of the other two models. The therapist is encouraged to address the individuals as well as the whole group. This concept is developed by an integrated set of concepts of structure, process and outcome. In group therapy, the interaction of group members offer possibilities for change and growth. But whether patients referred for group psychotherapy are going to benefit from the treatment depends to a large extent on their careful selection and preparation. Group therapy appears to be most useful for patients whose problems are mainly in relationships with other people. The most expected candidates for group therapy define their problem as interpersonal, they are committed to bring change in relationship, are willing to be influenced by the group and engage in appropriate self disclosure. Patients should be offered a group that is best suited for their problem and it should be ascertained whether the patient is suitable for group therapy or not. For this a therapist needs a great deal of information. A screening interview, psychiatric history and mental status examination can help to select patients for group therapy. There are some inclusion and exclusion criteria for group therapy. Size---Group therapy has been successful with as few as three members and as many as 15 but most therapists consider 8-10 members the optimal size. Many therapists believe that a group should be as heterogeneous as possible to ensure maximum interaction. Patients with different diagnostic categories and behavioural patterns, and patients from different races, social levels, educational and backgrounds should be brought together. Patients between 20 and 65 years of age can be effectively included. Age differences aid in relieving and rectifying interpersonal difficulties. Homogeneous group is more suitable for children and adolescents. Patients with similar problems like substance abuse, mild to moderate depression etc. can also be benefited in a homogeneous group. Members of the group share with others personal issues which they are facing. A participant can talk about events s/he was involved in during the week, her/his responses to these events, problems s/he had tackled, etc. The participant can share his/her feelings and thoughts about what happened in previous sessions, and relate to issues raised by other members or to the leader's words. Other participants can react to her/his words, give her/him feedback, encourage, give support or criticism, or share their thoughts and feelings following his/her words. The subjects for discussion are not determined by the leader but rise spontaneously from the group. The member in the group feels that (s) he is not alone with her/his problem and that there are others who feel the same. The group can become a source of support and strength in times of stress for the participant. The feedback (s) he gets from others on her/his behavior in the group can make her/him become aware to maladaptive patterns of behavior, change her/his point of view and help him/her adopt more constructive and effective reactions. It can become a laboratory for practicing new behaviors. Frequently the people you meet in the group represent others in your past or current life with whom you have difficulty. In group therapy you have the opportunity to work through these situations. Group psychotherapy is suitable for a large variety of problems and difficulties, beginning with people who would like to develop their interpersonal skills and ending with people with emotional problems like anxiety, depression, etc. There are support groups for people in the same situation or crisis (e.g. groups for bereaved parents, groups for sexually abused women), but usually the recommendation for the therapeutic group is to be as heterogeneous as possible and represent a micro-cosmos. For that reason in building the group, the leader will try to include men and women, young and old people, married and singles, etc. The group is especially effective for people with interpersonal difficulties and problems in relations. Whether these difficulties are in social, working, couple or even sexual relations, the participant can benefit a lot in these areas. Groups are ideally suited to people who are struggling with relationship issues like intimacy, trust, self-esteem. The group interactions help the participants to identify, get feedback, and change the patterns that are sabotaging the relations. The great advantage of group psychotherapy is working on these patterns in the "here and now" - in a group situation more similar to reality and close to the interpersonal events. These groups are organized and led by patients or ex-patients who have learned ways of overcoming or adjusting to their difficulties. The group members benefit from this experience, from the opportunity to talk about their own problems and express their feelings and mutual support. Examples include self help groups for people who suffer from problems like alcohol dependence, groups of parents of handicapped children, etc. This approach was developed from the work of Yalom (1985). Treatment is focused on problems in current relationships and examines the ways in which these problems are reflected in the group. The past is discussed only in so far as it helps to make sense of the present problems. The treatment is divided into three stages. First stage – The group members try to depend on the therapist, seeking expert advice about their problems and about the way they should behave in the group. In this first stage some members may leave the group due to anxiety in talking in the group or the therapists' refusal to solve their problem. Second stage – The remaining members begin to know each other better, they discuss their problems and try to seek answers to their problems. During this period maximum change can be expected. The therapist encourages looking into current problems and relationships. Third Stage – The group in this stage can become dominated by the residual problems of the members who have made least progress and shows most dependency. These points are discussed before ending the group. In encounter groups the interaction between members is made more intense and rapid in the hope that this will lead to greater change. The encounter can be entirely verbal, like using challenging language, or it can include touching or hugging between the participants. Sometimes the experience is further intensified by prolonging the group session for whole day or even longer. This is not suitable for people with emotional problems. In psychodrama, the group enacts events from the life of one member in scenes reflecting either current relationships or those of the family in which the person grew up. This provokes strong feelings in the person represented. The drama is followed by discussion. Instead of personal experiences of one member the drama can also focus on problems that all participants share, for e.g.. – how to deal with authority. This method is called sociodrama. Group therapy is an important part of hospitalized patients' therapeutic experiences. Groups may be organized in many ways in a ward. The goals of each group vary, but they all have common purpose to increase patients' awareness of themselves through interaction with other group members who provide feedback about their behaviour, to provide patients with improved interpersonal social skills and decrease isolation. They continued to discuss the topics with each other for sometime even after the session ended. This improved their interaction pattern. Marsch (1931) used lecture approach with patients but supplemented his lectures with other techniques like music, dance and inspirational reading. Contemporary models of inpatients group psychotherapy share several features. Most models establish highly specific goals according to the particular needs of the patients. This includes educative model, problem solving model, social skill model, etc. Educative model – This was developed by Maxmen (1978). Problems discussed are specifically related to those problems for which members were hospitalized. Patients are helped to recognize circumstances that lead to an exacerbation of symptoms, strategies of coping, etc. Social skills model – The behaviorally oriented social skill model fosters acquisition of various interpersonal skills by dividing each skill into multiple behavioral components. For e.g. – the skill of initiating a conversation may be divided into basic components as standing on appropriate distance from another person, greeting him/her, formulating questions and listening to the response. The model emphasizes on the social isolation of the inpatients and the difficulties they face in interacting with other people. Focus is placed on the patients' current interpersonal problems and the here and now interaction during each session. Within each session, members set an agenda related to an interpersonal problem that can be addressed within a single session. Formation of sub-groups - some members may form a coalition based on age, class shared values or other characteristics. This disrupts the therapeutic process. Members who talk too much - some members in a group are too talkative, and does not allow other members to talk. As meetings continue, group is likely to become dissatisfied. Members who talk too little - some members are too silent and talk very less. They are generally awkward in company, some may be afraid of talking and revealing problem. Conflict between members - many times conflict between members can develop. It can be due to disagreement with others' views, criticism of one group member by another, etc. The usual focus of a group is on current problem of the members. The past experiences of members only assist in understanding. Sometimes group members talk excessively about past and avoid their present difficulties. When choosing a group psychotherapist you should look for a well-trained, reliable, and ethical professional. If you are in individual therapy you should consult your therapist and be sure that your group and individual therapists can collaborate. Reputable group psychotherapists usually belong to professional associations. In the U.S.A, for example, membership in AGPA (the American Group Psychotherapy Association), and certification as a Group Psychotherapist by AGPA assures some degree of expertise. An experienced group therapist will usually interview you before your entering the group and will answer your questions about the group and his/her experience without being uneasy. You can also ask the prospective therapist how many years experience (s) he has in the particular modality and as a therapist generally. Make sure you clarify fees (including costs for missed sessions). Above all, trust your feelings: If you do not feel you can trust the therapist, find another. 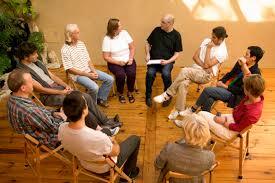 The therapist should actively structure the discussion in a way that encourages the group members to stay in a topic. Therapist should take cue from the process of the group. When members interact spontaneously around an appropriate issue, the therapist should be quiet and allow the patients to feel a sense of mastery. If members are trying to form some sub-groups, therapist should discourage them by asking the group to discuss the reasons for their formation or try to find some similarity with all members. Therapist should try to include all members in the group discussion by asking each one to express their views and feelings. Therapist should assist silent members to speak and should understand their reasons for silence. When there is conflict between members then therapist should not take sides rather encourage whole group to discuss issue in a way that leads them to understand why conflict has arisen. Above all, it is the therapist's task to help the group develop into a cohesive unit with an atmosphere maximally conducive to the operation of curative factors and where confidentiality and non judgmental approach can be communicated to the group members. 1. When people come into a group and interact freely with other group members, they usually recreate those difficulties that brought them to group therapy in the first place. Under the direction of the group therapist, the group is able to give support, offer alternatives, and comfort members in such a way that these difficulties become resolved and alternative behaviors are learned. 4. Another reason for the success of group therapy is that people feel free to care about each other because of the climate of trust in a group. 5. As the group members begin to feel more comfortable, you will be able to speak freely. The psychological safety of the group will allow the expression of those feelings which are often difficult to express outside of group. You will begin to ask for the support you need. You will be encouraged tell people what you expect of them. Not suitable when patient suffers from severe depression and suicide is a risk. Similarly, manic patients are difficult to manage in the group setting. They tend to display excessive elation, talkativeness and irritability which are often difficult to control. 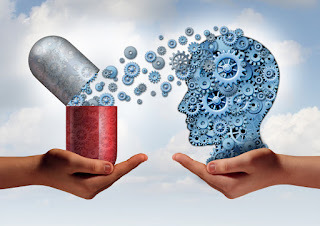 In psychiatry nurses may lead various types of therapeutic groups such as client education, assertiveness training, support , parent and transition to discharge groups among others. To function effectively in the leadership capacity for these groups, nurses need to be able to recognize various process that occur in the groups such as phases of group development. They also should be able to select appropriate leaderships style for the type of groups being lead. Nurses may develop these skills as a part of their training or they may pursue additional studies. Leading therapeutic group is with in the realm of nursing practice because group work is such a therapeutic approach. Nurses working in this field should continuously strive for expanding their knowledge and use of nursing process for the effective therapeutic approach. Kaplan HI, Sadok BJ. Synopsis of psychiatry-behavioural science or clinical psychiatry.9th edn. Hong Kong.William and Wilkinsons publications. 1998. Kay J, Tasman A, Lieberman J A. Text book of psychiatry. Vol II. 3rd edn. New York. John Willey and sons ltd.2003. Townsend MC. Psychiatric mental health nursing. 3rd edn. Philadelphia. FH Davis publishers. Ahuja N.A short text book of psychiatry. 5th edn. New Delhi. Jaypee brothers medical publishers.2004. Mohr WK. Psychiatric mental health nursing. New York . 6th edn . Lippincot Williams and Wilkins. 2006. Franco Veltro, Ian Falloon, Nicola Vendittelli, Ines Oricchio, Antonella Scinto. Effectiveness of cognitive-behavioural group therapy for inpatients. Clin Pract Epidemol Ment Health. 2006; 2: 16.